It’s time to get ready for your next party. An escape room party is a unique idea for all occasions including birthday, graduation, company and all other celebration parties. Escape room parties are ideal for all ages and abilities, plus they are fun and engaging so no one is left standing around bored. Escape room parties are one of the biggest trends in the party world right now. Here are a few things to consider when hosting an immersive escape room party. First, let’s explore the DIY approach. You can download an escape room kit or make-up clues yourself. Either way, there are 3 major components to an escape room. Remember, your goal is to immerse your guests in the escape room theme. To make a DIY escape room you are going to want to block off a room or section of your house. Remember, there are going to be at least a handful of people working together on the puzzle so make sure you have enough room. You’re going to be creating an immersive experience for your guests so plan to not use the room for a month or two as you prepare. Next, the goal is to transform the room to match the theme. Pick a theme that is going to immerse your guests in a different location. Movies and specific time periods are popular escape room themes. Now let’s think room design. Look for as many props, clues and puzzles as you can find in line with your theme. Don’t forget, all rooms need good lighting and items that link together like puzzle pieces. Finally, pull together everything into your escape room and practice. You will be relying heavily on visual queues (props) and verbal hints. Speaking of hints, you will want a system like a speakerphone or walkie talkie to convey clues to your guests while they are in the room. It also helps to designate someone as the hint person and have a camera in the room. Hints will help your guests escape the room and they need to be shared in real time for the best experience. So block off a place in your home for a couple of months, plan, plan, plan and pull together the 3 components of an escape room. You might just be able to pull together a terrific escape room party on your own. If this sounds like a little too much, your other option is to consider letting the professionals handle it. At this point, you might be feeling overwhelmed. Planning an escape room party at your house can be a daunting task if you’re short on time, space and ideas. 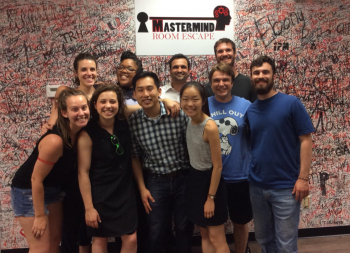 If the DIY escape room party option doesn’t fit into your current party planning efforts consider hosting a party at Mastermind Room Escape. Why not let the professionals handle it? 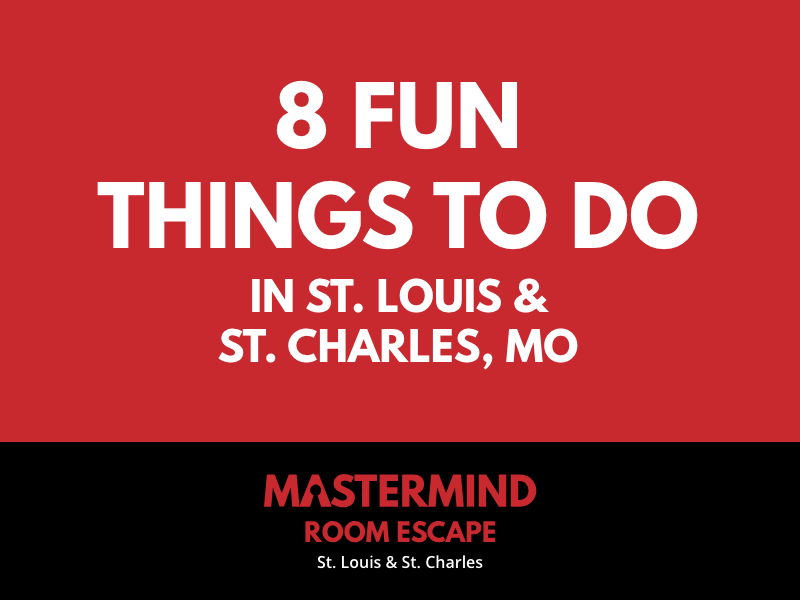 Mastermind Room Escape’s owners are really into family fun and entertainment. The escape room business grew out of a love for trivia and family fun. 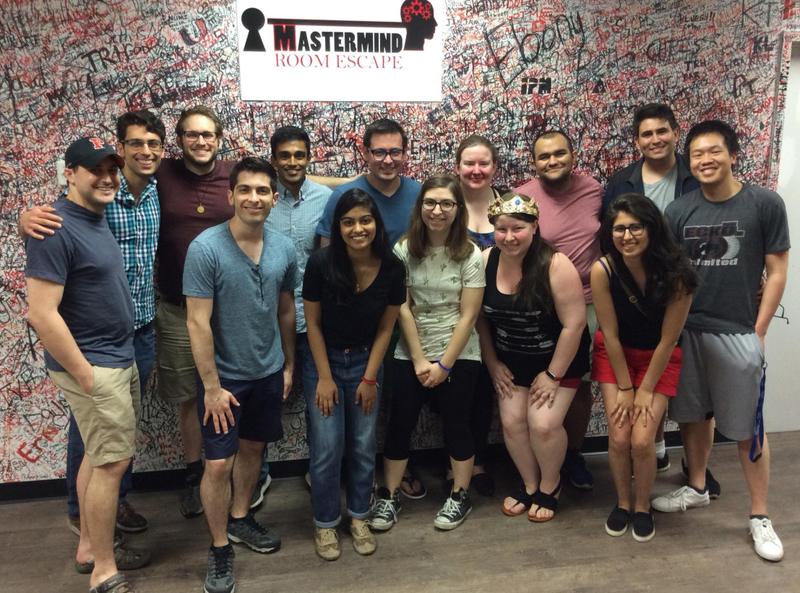 Mastermind has 15 dedicated escape rooms. Each room has been built from scratch by the Mastermind team. In general, we allocate 3-5 months for planning one escape room. This allows us just enough time to plan, build (including things like secret passageways and other items not easily incorporated into an at-home escape room) and test everything before customers enter the room. It also allows us to create escape rooms based on local “things we love” like the Cardinals Quest room. While also offering room themes that are popular world-wide like heist and creepy themes and holiday escape rooms. We’re glad you love escape rooms enough to consider hosting an escape room party. If you want to let the professionals handle your next party give us a call. We’ll have everything ready for your party in St. Louis or St. Charles.